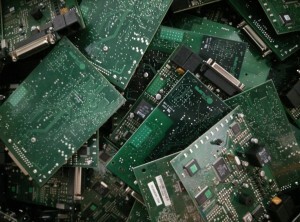 Managing your electronic waste and IT disposal, as a business, requires a good deal of thought and preparation. With numerous pieces of legislation offering guidance and rules to follow, many UK businesses are already undertaking some form of recycling programme for their electronic assets at the end of their lives. But if your e recycling company is only taking money from you, you could be missing out. Your investment in business IT equipment hasn’t vanished, just because technology has moved on. Sure, your business needs to have the latest IT solutions in order to remain competitive, but does that mean your old equipment is now completely useless? 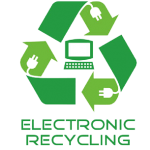 In many cases, we find not, which is why we offer an e waste disposal service that maximises any recoverable value of your unwanted electrical items. 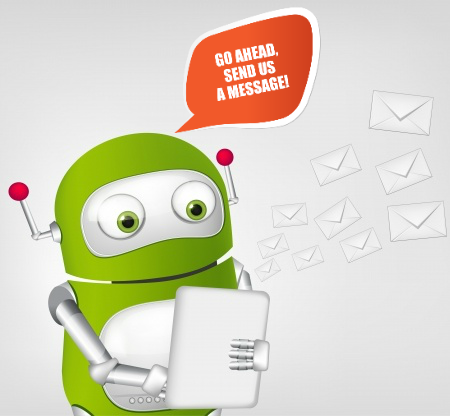 Our service is designed to still provide a sustainable and environmentally conscious solution to your e recycling needs. 1. Straightforward e recycling collection: – We can come to your site at a convenient time for you, to remove and recycle any amount of e waste. 2. Asset recovery services: – ur e waste disposal and asset recovery services can help you maximise the value of your items through intelligent refurbishment and sale. 3. Reverse logistics services –We’ll take control of all your equipment returns, including parts harvesting and onward recycling. 4. Complete e recycling services – We can help you meet all your regulatory goals with our full IT disposal and recycling service. Track your waste, obtain the certificates you need, and enjoy a cost effective, stress free e recycling solution. Our e waste disposal services are built around you, so that you end up with the perfect, tailor made solution for your own needs. We work to the highest security standards in terms of data protection, and to best practice levels for environmental protection. Virogreen can provide you with a full, complete and simple e waste disposal service that helps you manage your IT assets more effectively. We use the latest in data destruction technology, to ensure your sensitive information never falls into the wrong hands. Our expertise at recovering and refurbishing elements of your e waste means you can maximise the value of your retired IT assets, even when you thought they were no longer useful. Contact us today for a free quote, and see for yourself just how easy effective e waste management can be. Please fill out the form on this page, send us an email to info@virogreen.co.uk or give us a call on +0161 974 3316 to find out more. We’re happy to provide no obligation quotes for our services, or if you’re ready to get on with your recycling right away, we’ll immediately arrange a convenient time to come and collect your items. We’ll send one of our presentable, polite and helpful drivers to your premises to collect your unwanted IT assets, at a time that’s convenient to you. He will bring these back to our recycling facility for us to deal with professionally. At the point of collection, our driver will give you a ‘Waste Transfer Note’, required for legal compliance, and an official certificate of data destruction. When we receive your electronic items in our facility, we will then wipe all data contained upon your devices in accordance with the Data Protection Act’s standards. Working electronic items may be refurbished for reuse once more, and all those which are beyond repair will the effectively dismantled and destroyed. Virogreen want to be your first choice in IT lifecycles, and to provide you with a flawless service for the long term of your business. We aim to deliver all our computer disposal services in a timely and cost effective manner, so that you can always rely on us to take care of your recycling needs. Talk to us today about your IT asset management needs and let us become your new business partner.